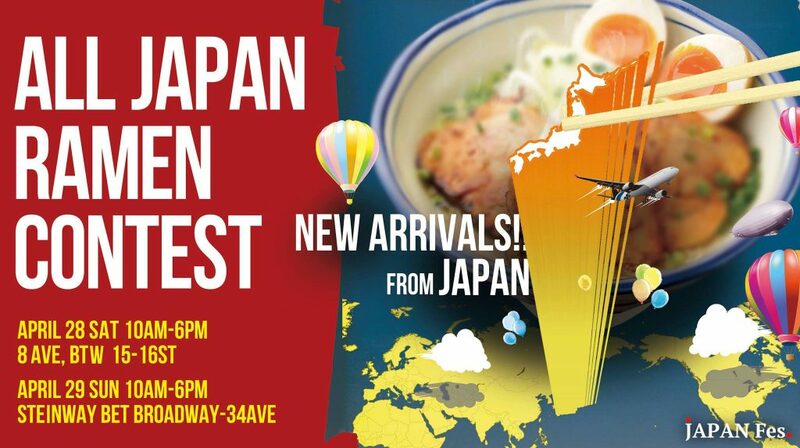 For the FIRST TIME the competition welcomes ALL 7 #ramen shops FROM #JAPAN to #NYC! Want to EAT REAL JAPANESE RAMEN?! A CHANCE you WON’T want to miss! YOU decide the Ramen Champion of NYC! POPULAR VOTE WINS! Each shop represents distinct styles from the East and West regions of Japan! #SaveTheDate & get ready for an ALL OUT #Japanese EXPERIENCE brought DIRECTLY TO YOU this #Spring 2018!!! No user commented in " ALL JAPAN Ramen Contest Manhattan 2018 "